As our global population continues to expand, the importance of both food safety and productivity are increasingly paramount to our continued well-being. A number of people and companies in and around Amarillo are a part of this critical food technology industry. Our mid-continent position makes transporting massive wind-generating equipment from California all the way to North Carolina, as Interstate 40 runs east and west. Interstate 27 is the thoroughfare to the north and south and with the vision of the Ports-To-Plains initiative, a direct route from Mexico to Canada passes through Amarillo. Two mainlines of the Burlington Northern Santa Fe Railway intersect at Amarillo, and provide direct service to many major US markets. These mainlines also connect Amarillo to the ports of Houston, San Diego and Galveston, conveniently enabling international access. This benefit is fortified by our Foreign Trade Zone status that helps local companies import/export more expediently and at a reduced expense. This specialized distributor supplies a full line of produce, frozen foods, meats, dry groceries, refrigerated foods, paper goods, equipment and supplies to restaurants, hospitals, schools, nursing homes and other institutional businesses. They also distribute Anheuser-Busch InBev products as well as many well recognized craft and imports brands. Affiliated Foods meets the needs of grocery stores and restaurants in Texas, Oklahoma, Kansas, New Mexico, Colorado, Arizona, and Arkansas. They specialize in logistics and transportation to ensure they can supply only the freshest produce, meats, bread, and dairy products. By supplying locations in seven states, their yearly sales are in excess of a billion dollars. 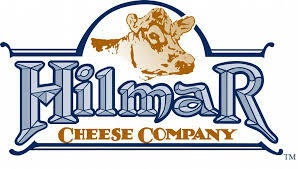 Although in neighbouring Dalhart, Texas, Hilmar Cheese is an example of how the Amarillo EDC works to best serve the needs of the broader community and business landscape. Through the ongoing advancements in productivity and quality, Hilmar Cheese is able to serve customers in more than 50 countries. Their state-of-the-art Texas facility is strategically positioned in a growing dairy region and provides their company with better access to their east coast customer base. Our steady supply of fresh milk ensures consistent, year-round availability of their cheese products. Inspired in part by the success of Hilmar Cheese, Pacific Cheese selected Amarillo for an additional production in their portfolio. Their products are widely available throughout the U.S. as they process the cheese on behalf of Sargento as well as Wal-Mart.